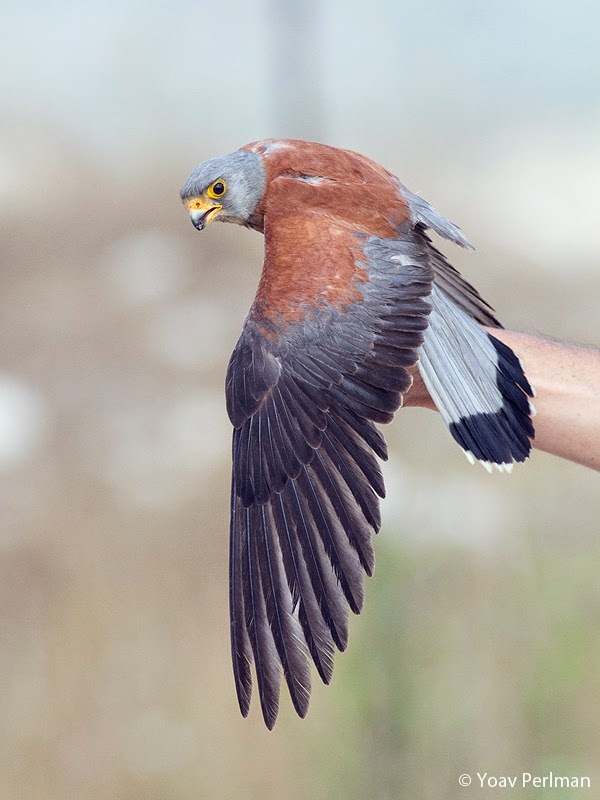 Lesser kestrel is an endangered species in Israel, though in the world it seems to be doing better in recent decades and is in fact off the IUCN Red List. 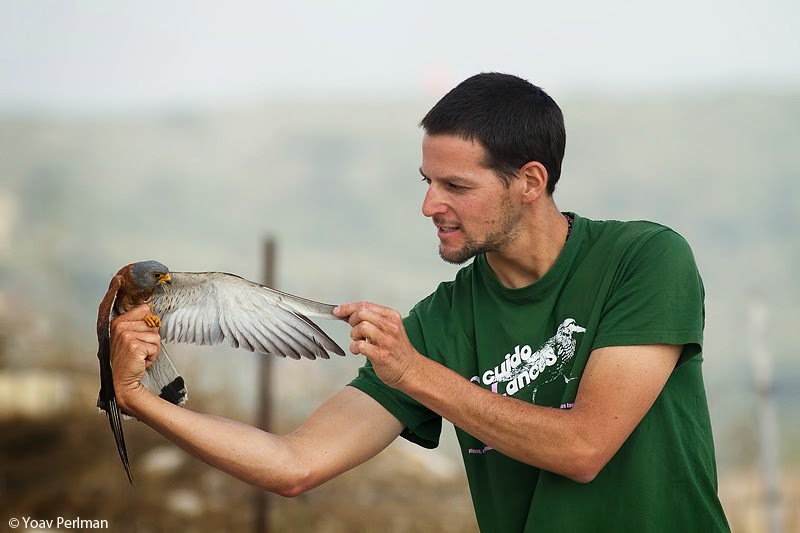 We put much effort to better protect them in Israel, including extensive community projects in villages where they breed. I am coordinating the monitoring and research efforts - annual national breeding census, and this year we managed to get funds for 10 GPS tags - thanks to the Hoopoe Foundation. These tags will provide us with vital information on their migration patterns and wintering grounds, that are a mystery at the moment. They leave Israel in mid June, and don't really get to E Africa before early November. So where are they during this period? And how far south in Africa do they spend the winter? After obtaining the necessary permits, yesterday and today Ron Efrat and myself tagged five birds in the southern Carmel region. Trapping them was more difficult than I expected, so it's working slower than we planned. 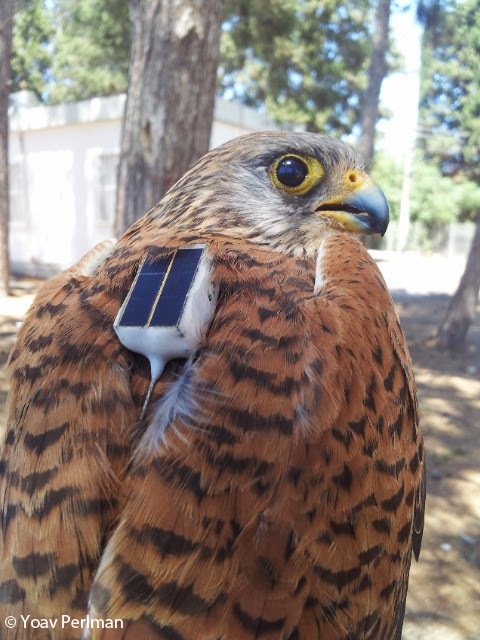 But Ron will continue working this week and hopefully will get all remaining tags travelling to Africa on the backs of Lesser Kestrels. Fantastic birds they are, aren't they? Interesting - just how do you trap Lesser Kestrels?